Who's the 'middle class' in Pakistan? Similar to the frenzy that results from the rumoured arrival of a prophetic saviour, our opinion nodes have by now largely taken an imagined growth in numbers of the middle class as a fact of life and have moved on to write on its growing assertiveness and its ability to find a voice of its own through the popular media. These past few weeks have all been about how civil society is able to circumvent the debilitated political party structure in order to get its voice heard and, more importantly, make its anger felt over perceived injustices. We live in an age of mind-boggling technological advances, unparalleled flows of information and mobility of capital. The material comforts enjoyed by an ordinary middle-class person could not have been imagined by the richest and most powerful individuals only 3 or 4 decades ago. What many consider basic needs in today's world were not so long ago considered luxuries. 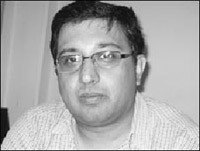 Eminent independent economist Dr.Asad Sayeed works for Collective for Social Science Research, an independent thinktank based in Karachi. He is PhD from Cambridge University, UK and graduated with Economics and Social Thought from Lawrence University, Wisconsin, USA. "New Karachi literary festival hopes to turn page on bombs," trumpeted a headline in the Independent, UK. Inspired by Jaipur, the festival in March "may not turn the page on the bombs," as Siraj Khan, a Boston-based Pakistani commented in an email, "but it is very inspiring. In my recent 7-month stint in Karachi, I saw and felt this breath of fresh air myself. This has not happened overnight and it's not just the new crop of writers who are turning the tide." Soon after this government assumed power in March 2008, Pakistan was enveloped by a staggering macro-economic crisis, largely a legacy of the previous government's economic decisions. It is well recognised that the long spell of growth in recent years was achieved on the back of an aggressive current account deficit, which was financed from foreign investment, privatisation proceeds and foreign capital from the international market. There was a significant slow down in exports and non-investment imports were rising. This excessive growth in imports and significant expansion in development spending in sectors that will not have immediate returns -- such as higher education -- were made possible with a conscious effort to keep the nominal exchange rate stable and interest rates low. The Chief Minister of Sindh, Syed Qaim Ali Shah, announced the distribution of cash to needy womenfolk of the province from the first week of March. 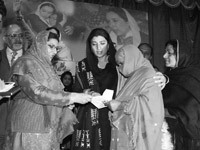 This initiative is launched under the umbrella of Shaheed Benazir Women Support Programme. Members of the provincial assembly have been asked to gather applications on prescribed forms from deserving women in their respective constituencies. So far, across a stipulated number of 168,000 provisions, only 86,512 forms have been received. Can a head of state claim immunity under international law if guilty of money-laundering? The Supreme Court verdict on NRO case has again rekindled the debate about "immunity" available to the president under Article 248 of the Constitution. In its judgement on NRO, the apex court directed the federal government to undo unlawful withdrawal of its claim of laundered money in Switzerland, generated through kickbacks received from SGS and Cotecna, two Swiss companies hired for pre-shipment clearance in Pakistan. Swiss Judge, Daniel Devaud, in 2003 held that money received as kickbacks belonged to the people of Pakistan. After establishing money-laundering offences under Switzerland's penal code, he ordered suspended prison terms for the defendants and asked them to pay restitution. Nearly two years after losing her right leg in the deadly earthquake that destroyed Pakistan's northern areas in October 2005, Rashida can walk again - thanks to a joint initiative by Indians and Pakistanis. After those long months of dependency Rashida can finally lead a normal life again - she can run, work, walk, pray and even climb uneven terrain with her new leg, a gift of Jaipur Foot from India. Since we've started on this path of exploring the anti-the-other-country feelings, let's take it a little further and see where it goes. First, you draw a distinction between the (sometimes) elected Pakistani governments and what you call the "establishment" – the army/bureaucracy nexus, if you will. Nawaz Sharif was, you tell us, pro-India, but this establishment undermined his government's efforts in that direction. 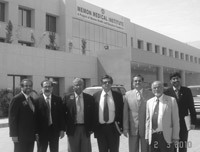 As the group of Rotarians toured the newly built state-of-the-art Memon Medical Institute (MMI) in Safoora Goth, Karachi, on Tuesday, Deepak Talwar, former District Governor of India's Rotary Foundation, reminisced about the first time he came to Pakistan in the late 80s. "I was instantly attracted and attached to Pakistan. The cultural similarities we share are amazing." Several points of contention are raised by this increasingly feverish obsession with our middle class. The first being the vagaries surrounding the term itself. Nobody has ventured forward with a widely acceptable definition of what the middle class is, which all things considered, is probably responsible for the superficiality, (read=incorrectness), in analysis dotting op-ed pieces in the English language press. Instead of studying an objectively defined social group, analytical pieces have tended to rely on self-determined definitions of the middle class and then used that definition to explain the role that it has played in recent events. The middle class in any society, and at any historical contingency, is subjectively defined by the overarching economic and political system, however some characteristics are now used for a general understanding. The Western middle class man or woman is caricatured as the urban-based services sector professional who, apart from being a rabid consumerist, also ascribes to the ideational principles of meritocracy, good governance, and a general consensus on the means and ends of the political process. The problem with extrapolating such a definition to Pakistan is that it leaves us with a very minute portion of the population. Given the fact that our most recent labour market survey revealed that only 4 percent of the adult population has obtained higher education, it just shows that a consistent focus on this particular class of people as the 'middle class' proxies as a severe over-estimation of its size, as exemplified quite recently by a former envoy to the UK and US who assigned the comical figure of 30 percent of the total population to this particular segment in society. With the entire urban population currently standing at roughly 32 percent, the factual inaccuracy of the figure quoted above, (and the lack of research in writing op-ed pieces these days), is quite obvious. More importantly, the obsession with the modern educated professional as a prototypical middle class Pakistani tends to shift focus away from other members of our urban service economy, those that are rarely educated in formal institutions yet continue to control a larger share of political and economic capital. The retailers, wholesalers, transporters and contractors are neither large scale capitalists nor feudal yet are both a numerically and economically more powerful segment and have given shape to their collective claims through both lateral and democratically engaging associations such as trader and transporter groups as well as well-entrenched political parties such as the Muslim League. Another annoying myth that needs to be debunked is this conception of how the urban professional class is being ignored at the policy-making level -- a perceived ignorance that has now forced it to organise around civil society networks to raise issues of political, economic and civic concern. With roughly half of our country's history being spent under military-bureaucratic control, it's quite bewildering to understand the logic behind such a claim. The officer cadre of the military and the higher bureaucracy clearly fit the characterisation of the urban professional class, and policy-making in our country has rarely ever tilted away from its historical focus on state-elite preference. The largely exogenous factor of a media boom has given this extremely small portion of the urban population a chance to make its views heard at a much wider level. The consistent focus on stability and the general disregard meted out towards our traditional and 'feudal' political elites is simply acting as a proxy in conserving the rather authoritarian policy-making structure of our country. This vague obsession with stability and progress through strong centralised governance ultimately feeds into the notion of giving power to a set of more organised yet unrepresentative institutions such as the bureaucratic-military nexus, or more recently, the judiciary. The current state of affairs is unlikely to improve unless the urban professional class is willing to get off its high horse, a horse that, in its mind, is currently being ignored by our political elites. By treating mass politics as a taboo activity, they're causing more damage than the benefit they bring about via the raising of important issues of human rights, quality of education and other related civic concerns. This class of people has been given power far beyond their numeric size through the control they exercise over higher education, informational and exclusive networks such as the print and electronic media and the non-representative part of the state structure. It makes common sense that consensus on the means and ends of the political process must not only be obtained within this 4 percent but between the 4 percent and the rest of the country, which includes the political elites and their vote-bank, of which a large portion is part of the 60 percent of the population currently subsisting under 2 dollars a day. The words 'with great power comes great responsibility' might have been penned by a comic book writer for a man who could shoot spider webs from his hands yet they sort of ring true for our exclusivist urban professional class as well. The first step in coming to terms with this responsibility would be a conscious recognition of their ability to influence important affairs, and the next step would be to remove the self-imposed insulation for the much-needed purpose of engaging the democratic process in the country. I think it's time that this 4 percent realises they're too small to be pandered by the political parties as far as voting is concerned. Hence they need to step up to the mark if they want to make a contribution towards strengthening institutional democracy. Otherwise further inaction and circumvention on their part just risks giving further credence to their already suspected non-democratic credentials. Some of us decry 21st century capitalist modernity because of the grotesque fact that such material plenty can exist amidst such squalor and want. Poverty has always been, and will always be, relative, yet in today's world billions of people are still deprived of basic facilities that many of us take completely for granted. In recent times capitalism's dream world has been shattered by greedy bankers and speculators. But the problem, as Marx insisted, runs much deeper than the personal caprice of profiteers. It is inherent in the very vision of capitalism itself. Thus even those who are beneficiaries of the incumbent social order are gripped by all sorts of insecurities. In recent times the relatively affluent classes have been panic-stricken by the scourge of so-called 'terrorism'. More generally they are victims of all sorts of existential crises. The obsession with the self and the ultimate slide into alienation is, to be sure, one of the defining cultural features of 21st century capitalist modernity. This alienation, however, does not necessarily push the affluent to recover their humanity. It is common for the chattering classes to be dismissive of the poor and defenceless. Servants are viewed with suspicion, and employees at work considered liabilities. The 'them-and-us' fixation is everpresent, serving to remind those who are historically disadvantaged that they stand no chance of ever being considered equals. The alienation that persists amongst those who will never be equals is of an altogether different kind. The mind-numbing repetitiveness of the workplace, the constant search for a reliable patron, and the perennial lack of money combine to produce desperation, anger, and sometimes nihilism. Yet unlike the alienation of the affluent, the alienation of working people always holds out the prospect for a coming together, for the development of a shared vision to transcend the monotony and injustice of the world as it is constituted. One does not need to romanticize the poor to understand that the real material conditions of their existence induce at least some, if not all, to rebel. For the best part of 20 years, young people who have historically been the natural allies of the rebellions of the poor have been fed narrative upon narrative about the limits of idealism and the merits of pragmatism. The virtues of unbridled individualism have been expounded by all and sundry while the collective imagination has been delimited. Slowly but surely, the falsity of this brand of intellectualism has been exposed. Today many people are coming to terms with the limits of pragmatism. In countries such as ours where the consumerist revolution is still in its formative stage, evidenced most strongly by the mobile phone binge, it may take time for young people to question the bright lights and glitterati of 21st century capitalist modernity. India is an important example in this regard: the younger generation has no experience of the pre-1991 Nehruvian state and the relative sobriety of society that persisted alongside it. They have instead embraced the new India – what the BJP called India shining – and want even more multi-story malls, Indian Premier Leagues and BMWs. But the fact of the matter is that the affluent classes cannot insulate themselves entirely from the other realities of capitalist modernity; the katchi abadis, the beggars, the overflowing sewage, and the donkeys that wander aimlessly along our roads. The unseen small towns and villages will not simply cease to exist. And so, like it or not, the beneficiaries of capitalism will continue to be haunted by 'them'. Ultimately, as the world famous Brazilian educator Paulo Freire noted, the burden is on the oppressed to come to the salvation of both themselves and their oppressors. That is, if the system of oppression itself is to be overturned. And this is where we come back full circle to the limits of pragmatism. 'Cultured' types insist that the world will always remain beset by inequalities and injustices and the best bet is simply to limit them to the greatest extent possible. Perhaps hindsight will prove us 'conflict theorists' wrong and the glitz and glamour of capitalist modernity will eventually 'trickle down' to the wretched of the earth. But the burden of history is on the shoulders of those who insist on the limits of idealism. Capitalism may have survived many crises, as it will likely survive the present one. But pragmatism – as preached by the ideologues of the system – will only take us from the present to the next crisis. In other words, pragmatism is a catchphrase for status quo, for a world characterised by unspeakable contradictions, shameful exploitation and the making of excuses by those who refuse to give up their once-upon-a-time luxuries that have so quickly morphed into needs. Yet even while the excuses are spewed out, the insecurities and existential crises proliferate. I prefer idealism, the ability to dream about a world that is not made up of alienated individuals, forever worried about their futures. This does not mean unflinching faith in a utopia, or commitment to a blind and indiscriminate struggle to achieve it. Instead it means only that I acknowledge that something is wrong and needs to change. Perhaps it is true that ignorance is bliss. But we are not ignorant. Surely bliss minus ignorance is a better option? Asad has been with the Collective since its inception, but actively started working as Senior Research Associate in 2003. Previously, Asad worked as senior Economist at the Social Policy Development Center from 1995 to 1997. He was then Director of Research at the Pakistan Institute of Labour Education and Research from 1997 to 2000. In 2001-02 he was visiting Research Fellow at the Applied Economics Research Center (AERC), University of Karachi. In 2002-03, Asad was awarded a fellowship by the Asia Scholarship Foundation to conduct research on Thailand. He was associated with them as a Research Fellow at the Chulalongkorn University, Bangkok. His research interests include Political Economy of Growth and Structural Change, Industrial Policy in Developing Countries, New Institutional Economics, Labour Market Dynamics in Developing Countries, Social Protection, Macroeconomic Policy with special reference to growth, debt management and poverty alleviation and Political Economy of Corruption. In an interview with TNS in Karachi, he explained in detail the state of Pakistan's economy, impediments in containing various crises and how the poorest of the poor could be provided some solace. Excerpts follow. The News on Sunday: The government says there are visible signs that the country's economy is improving. As an independent economist how do you assess the performance of PPP government after it assumed power? Asad Sayeed: Before I assess the performance of the government on the economic front, let me provide some context. First, there is a consensus towards market-based solutions to economic issues in Pakistan – termed as 'neo-liberalist' thought – across party lines and amongst different elements of the state. The present government is no exception to this. Second, the economic situation inherited by the government as well as the subsequent downturn in international economy has made the task of economic management all the more difficult. With these caveats, on balance, the government has done a good job in my view. The macro economy was staring down the barrel six months into the government taking over, essentially because of an unprecedented increase in international oil and commodity prices. It will be useful to recall that in September and October 2008, the Pakistani rupee was in a state of virtual free fall, reserves were depleting very fast, the current account and budget deficits were ballooning and inflation was over 25 percent (food inflation was around 32 percent). There was also a great deal of uncertainty as bilateral donors were not forthcoming to help Pakistan individually – a help that was expected at the time as the 'democracy dividend' – and pushed Pakistan into an IMF agreement. A year and a half later, we see that the macro economy has been stabilised. Inflation has been halved and external and internal imbalances have been brought under control, albeit with the help of the IMF. This is no mean achievement. Other than macro economic stabilisation, in three other areas the government can legitimately take credit. The first is social protection. Allocations for targeted social protection were increased from Rs11 billion in 2007-08 to Rs34 billion in 2008-09 and then to Rs70 billion in 2009-10. This increase was entirely due to initiation of the Benazir Income Support Program (BISP). There is a lot of cynicism about BISP and there are issues with targeting that need to be sorted out, but early evaluations show that by and large transfers have gone to the poor. Moreover, the poverty scorecard is to be introduced soon for targeting purposes and that should ensure, to the extent possible, that benefits reach the poorest of the poor. Of course there will be exclusion errors but on the whole allocation of resources towards the poor signifies a substantial redistribution of incomes initiated by the present government. Second, the successful agreement on the National Finance Commission Award (NFC) is also a significant achievement of the government. This is the first award in the last 19 years that has been accepted by all protagonists as well as the general public. Distribution of resources across provinces and between the Centre and the provinces has been a thorny issue in Pakistan. Either the federal government or the Punjab has been reluctant to share resources with smaller provinces in the past. In the recently concluded NFC, the federal government has taken the biggest hit in assuaging the smaller provinces by reducing its share of resources by more than 10 percent. The Punjab government should also be credited for agreeing to relent on the horizontal distribution formula. The important lesson is that federalism in Pakistan can only be ensured through negotiations and a spirit of compromise that democratic governance can create. Third, this government has moved some way in reviving agriculture and consequently addressing the issue of food security in the country. We will do well to remember that when the present government took over, there was a severe shortage of wheat in the country. This was because of a particularly bad wheat crop in the previous year and the then government's blunder of exporting wheat in a year of shortage. In fact, throughout the Musharraf years, there was a pronounced urban bias in agricultural pricing. Support price for key food items were kept low, essentially to benefit urban consumers with the result that there was a net transfer of resources from rural to urban areas. By increasing the support price of wheat from Rs450 per maund to Rs650 in March 2008 and then to Rs950 per maund later in 2008, a significant boost was provided to food staples production in particular and the rural economy in general. While the policy direction is right, because of water shortages and volatility in international commodity prices, food insecurity will continue to haunt us. But this is not because of policy failures as such. TNS: What have been the government's failures? AS: There have been a number of errors of omission and commission. There are three areas in which policy failures are obvious and two where the failure is circumstantial. The most salient failure of the present government has been in tackling the electricity shortage. While it is correct that the problem was bequeathed to them by the Musharraf Government, the short term solution to the problem seems to have been mishandled. The problem of circular debt should have been addressed upfront and on a priority basis. Because this problem was mishandled, today we are working below the level of installed capacity and installed capacity itself is way below actual demand. While the decision to induct Rental Power Plants (RPPs) was the only option if electricity was to be acquired in the short run, allegations of corruption and apparently weak contractual terms with service providers have marred the process a great deal. On top of that, the Minister for Water and Power kept claiming for a year that loadshedding will be eliminated by the end of 2009. This has further eroded the credibility of the government in delivering the service. The second area where the government has so far not taken any significant initiative is on social sectors. While much of the onus of social sector development rests on provincial governments, the federal government has reduced its own allocations on health and education. More importantly, the federal government's mandate is to provide policy direction to the provincial governments and create regulatory structures. The government has performed abysmally on this front so far. The education policy has been announced and we are told the health policy is on the anvil also. The education policy seems like a routine bureaucratic regurgitation of past policies and what one has seen of the draft health policy there seems nothing in it that addresses the perennial problems in health sector delivery either. At a time when the deadline for the MDGs is closing in (deadline is 2015) and Pakistan suffers from a huge deficit in social development, this neglect is costly. The third area where there has been very little progress is in giving a direction to the manufacturing sector. Granted that we are in a recessionary situation and that past governments have not been attentive to changing the structure of manufacturing in line with changing demand patterns, both nationally and internationally, the present government has taken no policy initiative in order to provide a direction. Moreover, taxation has been manufacturing intensive for long and this trend has, if anything, been intensified in the last two years. There are two other areas where there has been criticism on the government. These are petroleum pricing and tax collection. While much of this criticism is unjustified, the situation could have been better managed. When the media creates a ruckus on increasing petroleum prices, it overlooks the fact that Pakistan imports the bulk of its petroleum products and that the trend in world market prices will be reflected in domestic prices. In market economies, it is never a good idea to provide blanket subsidy on products as ultimately someone has to pay for this subsidy. We saw in the last days of the Musharraf government where subsidisation of petroleum products led to an unprecedented increase in money supply and consequently in runaway inflation. So what was provided as subsidy by the previous government was taken back from the public in the form of reduced purchasing power. Where the government could have managed things better is by cross subsidising diesel. The price of diesel for the first time perhaps in the country's history has exceeded the price of petrol and as we all know diesel fuels long haul transportation as well as public transport. The government argues that since there is no diesel processing facility in Pakistan, all diesel is imported and consequently its aggregate import cost is more than that of petroleum. And since the government has decided to eliminate subsidies in the sector, the market dictates that the price of diesel should be higher than that of petrol. We, however, know that the greatest impact on aggregate prices and particularly prices that affect the poor is through the price of diesel. To lessen the impact on the weaker sections of society the government could have increased the price of petrol more and subsidised diesel by the margin of the premium charged on petrol. In other words, petrol consumers could have been taxed to subsidise diesel users. Revenue generation is another area where policy could have been better tuned. Again some of the popular criticism on this front is false. Economic logic suggests that in recessionary times revenue falls. At any rate revenue is not expected to increase when growth has decelerated from an average of 6 percent to 2 percent in the last year. However, what the government has failed to do in the last two years is to broaden the tax rate. One of the biggest issues for Pakistan's economy is the lack of documentation and significant leakages that exist. Most salient in terms of lack of documentation is a large chunk of the services sector. Doctors, lawyers, accountants, security companies, private schools, colleges and hospitals, not to mention stock trading and the real estate business, are all outside the net of sales taxation. While it is appropriate that commodity production – such as industry, agriculture and construction – should not be taxed in the midst of falling output, the government could have taken some incremental steps to broaden the taxation net to other services. The reason for this error of omission perhaps is that the government has been unwilling to take on influential lobbies that represent these sectors. TNS: You have given the balance sheet of the government in great detail. You have also said that the government has managed to reduce inflation but the fact is that food prices are still very high. Take the increase in the price of sugar for example which was allowed to balloon simply because sugar mills owners are politically influential. AS: The sugar crisis is a perfect symptom of the structural problems that afflict Pakistan's economy and its vulnerability to global developments. The sugar crisis started with the international price of the commodity trebling in a few months. Pakistan had a good crop of sugarcane last year and the price was under control. Once the international price jumped, the incentive for the Pakistani producer as well as the speculator to export the commodity to India (where there was a shortage) was suddenly created. The fact of the matter is that Pakistan's economy is unable to insulate itself against world market prices, especially for food items which can easily be transported to India or Afghanistan (and from there to Central Asia). Once the prices started to increase, the government negotiated with the producers to release sugar at an acceptable 'middle way' price. But then the Supreme Court intervened and decided to 'fix' a lower price. The result was that hoarding increased even more, sugar disappeared from the market and prices jumped even further. Moreover, given the 'harassment' that sugar producers faced at the hands of the Supreme Court and the Punjab Government the millers have bought less cane and will produce less sugar next year. As such, we are going to have further shortages. The government has been criticised for not regulating the price as sugar millers are influential politicians. While it is true that a large number of sugar millers carry political clout, it is also a fact that the sugar industry operates as a cartel. As such, most of their decisions (to sell or hold the output and what price to buy it from the farmer) are coordinated. In that sense, they are no different from the banking, the auto, the cement and a host of other industries in Pakistan that operate as cartels and have less direct political influence. The fact is that the state in Pakistan does not have the regulatory and administrative capacity to regulate prices, break cartels and to curb smuggling. As a result, such crises are going to recur unless the state gets its act together. On a more ominous note, the reality is that food price inflation in a number of developing countries and in Pakistan has been high over the last few years. For a variety of reasons, food prices globally have seen wide fluctuation over the last few years and are expected to remain volatile in the near to medium term. While government and states can prepare for these eventualities to a degree, unfortunately the people will have to bear the brunt of volatility in world prices. TNS: Foreign Minister Shah Mahmood Qureshi has suggested the possibility of leasing agricultural land to Middle Eastern states. How will it impact the farmers and the agrarian economy of Pakistan? AS: This is a wrong policy and should be nipped in the bud as soon as possible. In a country where food shortages have become endemic as we discussed earlier and where employment in agriculture is still substantial, this policy will only invite further social dislocations. From statements of different ministers, it is not clear whether the government intends to sell developed land to foreigners or hitherto uncultivated land which will be developed for them. In any case, water and other scarce resources will have to be diverted to these lands away from already cultivated land. Moreover, corporate farming works with fewer workers and more capital intensive equipment. This will create further dislocations of workers, particularly in a situation where the rest of the economy is not expected to grow fast enough to absorb these workers. Another danger I see of this policy is the impact it will have on the socio-political milieu. Most if not all of this investment is expected to come from Gulf countries and we know that in the last 30 years these very countries have bred a certain form of sectarian and militant form of Islam that has made us a violent and intolerant society and brought Pakistan globally in focus for harbouring terrorism. It is thus best to keep Gulf investors out of the rural areas of Pakistan if we are to shed the terrorist scourge in our body politic. TNS: The government has again decided to give a raise to armed forces personnel. How are defence allocations impacting growth and affecting health and education sector? AS: Well unfortunately the armed forces have a claim right now on resources given the campaign again terrorism in the north-west. Obviously every rupee spent on defence is a rupee taken away from social welfare and productive activity. The more important point, however, is not whether defence allocations have been increased this year but that the defence budget remains outside the ambit of 'civilian' accountability. There is still no debate on the military budget in parliament and the budget remains opaque in the sense that we do not have enough details of different heads within the military budget where the money is spent. As such, neither parliament nor others can point out where the inefficiencies and/or misconduct occur in the large amount dedicated to the military. While the present government did manage to open the military budget slightly by disaggregating the budgets dedicated to the three forces, at this point it appears too weak to make this budget more accountable. TNS: What steps should be adopted to bring solace to the poorest of the poor? AS: I mentioned in the beginning that the power elite in this country – which also includes the PPP government – works within the realm of neo-liberal economic paradigm. Within this reality, the government can only enhance the net of social protection and reduce the rate of inflation to the extent that circumstances allow it to do so. But neither will bring substantive solace to the poor. For substantive reduction in poverty, the state will have to be structured very differently. It will have to divert resources as well as services to citizens as a matter of right. This will require a radical re-ordering of the state. Our research shows that the poorest individuals and communities belong to marginalised ethnicities and caste groups. Political action will be needed to provide genuine citizenship rights to these marginalised groups. Otherwise all talk of addressing the poor will remain mere shop talk. The event, sponsored by Oxford University Press and the British Council, will cater to readers of English. The First International Urdu Conference in Karachi, November 2008, showcased several Indian writers. Last November, the inspiring five-day event included a music festival although ongoing tensions between Pakistan and India barred the Indian delegates from attending. Prominent scholar Dr Gopi Chand Narang addressed the gathering via telephone from New Delhi. "My heart is with the people of Pakistan in Karachi and I hope the condition in your country improves soon," he said, to rousing applause. Siraj: "I do hope and pray that our youth get more engaged in reading books rather than blasting bombs." This bomb culture stems of course from attempts to convert Pakistan, from 1979 onwards into a centre of Islamic 'jihad', by the military dictator Gen. Zia acting at America's behest to oust the Soviets from Afghanistan. The peculiar relations between Pakistan and India are part of that narrative: the pro-jihadi mindset is also virulently anti-India. I recently had breakfast with an Indian journalist living in Karachi, married to a Pakistani. She must return to Delhi every three months to renew her visa. She can't work in Pakistan because only two Indian journalists can work in Pakistan (and vice versa). The irritants include her Indian friends' one-dimensional views about Pakistan. "They thought I would have no freedom, that there are no coffee shops or women wearing jeans. Ok, so we can do this only in this part of Karachi, but at least it's there." There's the fortnightly Critical Mass cycling event in Karachi I've been meaning to join. There's the annual All Pakistan Music Conference, held in Lahore for years and more recently, in Karachi too. Recently, I attended a talk on 'youth and science' organised by Sindh Awami Sangat, a socialist youth group from low-income localities. College students, including some girls, most in hijabs, crowded the seminar hall (made by breaking down the dividing walls in a flat) of the Irtiqa Institute of Social Sciences. "Jihad," said Adnan Sabzwari, the young scientist and educator who addressed them, "is not strapping yourself with a suicide vest and blowing up people, but making life better for the hungry and the poor." He got a standing ovation. The Classic and Vintage Car Show drew record crowds in its sixth year running. "We still plan to hold a joint rally with our Indian counterparts," said an organiser, referring to a plan scuttled earlier due to tensions between the two countries. For three weekends in February, stand up comedian Saad Haroon performed at sold-out shows (I couldn't get tickets). Last weekend, a friend's 16-year old son and his friends produced a play in English that they wrote, directed, acted in, and marketed. The suspense thriller dramatic, funny, and slickly done, ran to full halls both nights, raising over a lakh of rupees for a welfare organisation run by students. While an over-ruled exchange rate created anti-export bias, the low interest rate includes misplaced notion of extra fiscal space, which was used to justify increased development spending. There is no evidence though that consumption was promoted at the expense of of investment, as both these expenditures have shown stable trends during the period. In the days following the PPP-led coalition taking control of the rudder, Pakistan's currency was losing value hand over fist, foreign-exchange reserves covered barely three months of imports; and the cost of ensuring our sovereign debt against default was almost 1000 basis points (10%). Indeed the Economist reported on Oct 23 "The economy is close to freefall. Inflation is running at about 30%. The rupee has devalued by about 25% in just three months. The fiscal deficit is a whopping 10% of GDP. Foreign-exchange reserves cover just nine weeks of imports. A $500m Eurobond matures next February, but the market has already decided it is junk. The country needs at least $3 billion in short order, and a further $10 billion over the next two years to plug a balance-of-payments gap. Without it, default abroad might well coincide with political anarchy at home." Amusingly, however we are today one of the few countries in the world that enjoys more macroeconomic stability now than in September when the bankruptcy of a major investment bank was the first brick to fall in the collapse of the global financial system. So how has a country, which was written off to default, deserted by its allies and with seemingly no ladder to salvation, been able to weather a storm of such magnificent proportions, and come out, limbs intact, seemingly no worse for the wear? It all starts and ends with the government. It began with the much talked about privatisation ( most notably the Qadirpur Gas Fields). However with the steel mills issue still fresh in the public's memory there was much opposition raised, and rightly so, against hawking national assets in desperation. Once privatisation was no longer an option, the government readied the begging bowl and our leaders travelled the world from end to end, pleading our case. However they were coolly rebuffed by all our "most allied allies". Summing up, to quote Mr. Shaukat Tarin, "All roads led to IMF". An IMF programme is an arrangement that is quite different from a high street loan. By definition, it is a policy loan, meaning that the borrower country agrees to accept a set of policies that would ensure macroeconomic stability in short run and engender growth in the medium term so that its ability to service future obligations is ensured. This has its benefits and its drawbacks. Indeed autonomy of devising fiscal policy is reduced and impinges on a country's policy choices, possibly slowing growth; however the flip side is that government is forced to take measures that while being beneficial, are unpopular, such a withdrawing subsides. On this account, luckily, Pakistan was better placed. Even though we went to the fund when it was inevitable, our prior commitment to remove the huge subsidies on oil and electricity, which were in the first place at least a major cause behind our economic woes, significantly reduced the need for taking any painful measures before the programme was approved. Increased foreign exchange was made possible due to more home remittances, which was reflective of greater confidence in the macroeconomic situation of the country as well as foreign deposits attracted by high interest rates. The only sticking point that took considerable negations was the need for further tightening of monetary policy. As mentioned earlier, Fund had thought a much higher increase in interest rate was required to fight the rising inflation, whereas we thought such a large increase was unwarranted. However, now, increased macroeconomic breathing space has helped nudge rates down. There has been a change of tone in the world press as well as evidenced by The Economist, three weeks ago, "After depreciating by 13.7% against the US dollar in 2008, the Pakistan rupee stabilized following the finalization of the IMF assistance package ( and) rising investor confidence. Inflationary risks have abated. The Pakistan government's latest Economic Survey put the fiscal deficit in the fiscal year 2008/09 (July- June) at a provisional 4.3% of GDP. Year-on-year consumer price inflation fell to 13.1% in June, from 17.2% in April. Inflation has beeon on a declining trend since November 2008 and will continue to slow… while reduced government borrowing from the central bank will also reduce inflationary pressures. We expect the annual average inflation rate to fall sharply from 20.3% in 2008 to 12% in 2009, and improving economic stability in 2010 should see inflation moderate further, to 5.5%, in that year." While these efforts and the subsequent successes are appreciable, we must not forget, to quote the sporting cliché that we must not take our eyes off the ball, except there are several balls speeding toward us. The first fear is that the fiscal discipline, coupled with the impact of the global recession, will stifle growth. Meanwhile, the government's need to contain the fiscal deficit means that public consumption growth also will be significantly curtailed. Although private consumption growth will provide support to the economy, it is estimated that real GDP will grow by just 2.8% in 2009/10, down from 3.7% in 2008/09. GDP growth will accelerate to just 4.4% in 2010/11, driven largely by greater investment as financial constraints ease. Secondly, Pakistan's economy is threatened by the deterioration of the security situation. In large swathes of the country, the battle against the Islamist insurgency has escalated almost to the point of civil war, with the army having launched large-scale offensives against the local offshoot of the militant fundamentalist Taliban movement. With the threat to national security in the foreground, issues of economic management are often put on the back-burner. In addition to the social and cultural burdens of the movement, the economic cost cannot be overstated. Indeed some estimates put the figure as high as $35 billion, which makes the much trumped $7 billion Kerry-Lugar bill seem like a joke. Thirdly, self-reliance in commodities is a very important goal. Lastly, we must not forget that this loan from the IMF is still just a loan. In the end we are piling on further to our already vast external debt, and care must be taken to use the mount wisely and pay it back in a timely fashion, so as to ensure that it does not become another obstacle in long term macroeconomic stability. As these persistent risks suggest, Pakistan may have averted a crisis, but it is far from out of the woods and tough, unpopular decisions will have to be made. Pakistan's acceptance of IMF assistance has simplified the task of the government and the central bank to a degree, in the sense that these institutions will lose a considerable amount of autonomy in economic policymaking, which subsequently enforces a degree of fiscal discipline that would otherwise not be adhered to. Different expert opinions exist about the effectiveness of such programmes. Many believe that these ventures are one-time efforts which survive till the existence of the regime. Availability of funds is the other key issue. In situations of recession and shortage of resources for public sector development pools, the cash distribution schemes are the first heads of allocation which are closed down as a usual practice. Critics also question the transparency of choices made for release of cheques. Politically chosen individuals, favourites of the regime and even ghost recipients are often pointed out by the observers. Then is the issue of governance: since specially created directorates or organisations for such purposes do not survive changes of regimes, the disbursement through standard departments of civil administration is often a useful option. The matter requires deeper deliberation for formulation of effective policy measures. Cash support is now considered an important tool for protecting vulnerable classes against financial crisis of various kinds. During the London summit in the previous year, the G-20 countries gave the assurance to allocate USD 50 billion towards social assistance, expansion of trade and support to low income countries. In the same vein, the World Bank also enhanced its lending to programmes of social protection from USD 4 billion to USD 12 billion by 2012. There remain enormous opportunities for reviewing these allocations and preparing the proposals for benefit of the vulnerable masses in Pakistan. Certain aspects need to be analysed for appropriate follow-up. Professionally drafted, innovative and transparent proposals are likely to win the race of competition. In other words, the governance structure of any cash distribution scheme must be laid down on firm footings. And that can only be achieved if all dimensions of the target groups are studied and accounted for in the planning and implementation stages. Different models exist for the challenge. In many developing countries, conditional cash transfers (CCTs) programmes have been introduced for more than a decade. The set of conditions vary from place to place. In some cases, the cash subsidies are linked up with the priority social indicators such as health, education, mother and childcare, human capital development or gender support initiatives. Experiences from Latin American contexts show different positive built-ups. High enrolment in schools, decline in the drop-out ratio from schools, appropriate utilisation of health services (especially family planning guidance), improvement in nutrition levels among children, enhancement of immunisation and better husband-wife relationships are some mentions. Conditional cash transfers have also been applied in South Africa and Namibia with positive results. Many parts of the world including Pakistan have been facing internal displacements on a large scale. A sizable number of households become temporarily poor due to loss of livelihoods. Thus CCTs become useful tools for supporting this destitute population. Proper design of programmes makes an important pre-requisite. Also, evaluation work has emphasized that such schemes must be devised keeping the contextual realities in mind. Some basic measures need to be taken in Sindh and elsewhere in the country. Poverty mapping must be done on the basis of updated information with relevant departments such as Federal Bureau of Statistics or its provincial counterpart. The mapping may identify the incidence of poverty with profiles of causes. This information can be utilised as the baseline for planning of interventions. An inventory of area scale inputs for development work may be drawn to observe the social sector initiatives already in the offing. Prominent actors with experience in poverty reduction and gender-relations may be consulted. Pakistan Poverty Alleviation Fund (PPAF), Aurat Foundation, Rural Support Programmes and Orangi Charitable Trust (OCT) are some institutions well-geared in similar works. An effort may also be made to recognize the efforts of local community based organisations and their useful work done over the period of time. Non-linear up-scaling of such development models can prove to be most useful. Given the Pakistani situation, transparency and efficiency must be ensured at every stage of proposed programmes. Innovative approaches must be adopted to reach out to the deserving womenfolk. For instance, instead of cash distribution, non-transferable commodity or service cards may be issued to the concerned. This may help in the proper disbursal of essential items such as food or services such as healthcare. Independent periodic monitoring by expert groups, academic and research community can prove most effective. There is a wealth of knowledge available in the form of pilot projects, conceptual ideas and case studies. What is required is a skilful application to conform to our local requirements in a sustainable manner. In 2008, the Pakistani government withdrew from the case and it was dismissed in August 2008 as there was no longer a claimant of laundered money. The Supreme Court has specifically instructed the government to revive the matter in Switzerland for claim of money looted from the Pakistani masses. On April 15, 1999, the High Court of Lahore awarded the defendants 5 years' of imprisonment and US$ 8.6 million of fines. But on April 6, 2001, the said judgment was annulled by the Supreme Court of Pakistan and the case sent back to the first judges for a new decision. It is strange that from 2001 till the time of issuance of NRO -- now declared void ab initio being ultra vires in Dr. Mubashir Hassan & Others vs Federation of Pakistan & Others PLD 2010 SC 1 -- no decision was taken by the court. The Supreme Court, in its judgement of December 16, 2009, did not touch the issue of delays by the trial courts in deciding the matter -- why Musharraf kept mum from 2001 to 2007 and did not get Zardari et al convicted by the trial court. Supreme Court did not recommend action against Pervez Musharraf as well for issuing NRO and not prosecuting the looter and launderer. The Swiss Court in its judgement categorically ruled that "Asif Ali Zardari, in concert with Mr. Jens Schlegelmilch, kept the concluded agreement with SCG and Cotecna secret that clearly demonstrated that he was aware of its illicit character". It was further concluded that "defendants knew that they were acting in a criminally reprehensible manner in obtaining considerable sums in the sole private interest at the cost of the Islamic Republic of Pakistan". The above-quoted findings of the Swiss Court and concurrent findings of trial court in Pakistan and High Court, Lahore, proved that colossal money belonging to Pakistan was plundered and laundered. In this background, the defenders of Asif Ali Zardari are oblivious of established position of law that immunity is not available under Article 248 as well as international law under the so-called doctrine of "sovereign immunity". The experts speaking on behalf of Zardari are not citing the specific law regarding sovereign immunity under which the president of Pakistan cannot be sued in Switzerland or in Pakistan vis-à-vis charges of alleged financial corruption. They are not aware of the fact that international law prohibits sovereign immunity with regard to commercial activities of foreign states or their agencies or with regard to property taken by a foreign sovereign in violation of international law. In recent times, the customary international law has continued to move towards a restrictive doctrine of sovereign immunity. Provided that nothing in this clause shall be construed as restricting the right of any person to bring appropriate proceedings against the Federation or a Province". "Their Lordships, while admitting the cogency of the argument that in the circumstances prevailing in India a large measure of protection from harassing proceedings may be necessary for public officials cannot accede to the view that the relevant words have the scope that has in some cases been given to them. A Public servant can only be said to act or to purport to act in the discharge of his official duty, if his act is such as to lie within the scope of his official duty. Thus, a Judge neither acts nor purports to act as a Judge in receiving a bribe, though the judgment which he delivers may be such an act; nor does a Government medical officer acts or purports to act as a public servant in picking the pocket of a patient whom he is examining, though the examination itself may be such an act. The test may well be whether the public servant, if challenged, can reasonably claim that, what he does, he does in virtue of his office." The issue of immunity under Article 248 also came up for interpretation in Ch. Zahur Elahi's case (PLD 1975 SC 383) and it was held by the Apex Court that "…the immunity provisions must, in accordance with the accepted principles of interpretation, be construed strictly and unless persons claiming the immunity come strictly within the terms of the provisions granting the immunity, the immunity cannot be extended. The immunity is in the nature of an exception to the general rule that no one is above the law." On the strength of a number of cases, the Supreme Court in its latest judgement (PLD 2010 SC 61) has held that if action is unlawful "no exception could be taken to the impleadment of the President as a respondent in the petition". In the presence of this judgement, Asif Ali Zardari cannot claim immunity under Article 248 vis-à-vis charges of financial corruption in Pakistan, Switzerland or elsewhere. Article 248 gives protection to acts done in good faith and cannot be construed to extend blanket cover for unlawful acts. If this argument is accepted then after subverting the Constitution, an office-holder mentioned in Article 248 can escape punishment under Article 6. Certainly in such a case he cannot rely on this ouster provision. The ouster provisions of the Constitution -- like Article 248 -- cannot be interpreted to condone any action that is violative of the law. Money-laundering is a crime under the international convention of the United Nations -- Pakistan is signatory to it. No head of state can claim immunity under any international law/convention if guilty of money-laundering. Her leg was crushed when a beam fell on it as the earth heaved and destroyed her family home. After undergoing an amputation below the knee and thought she would be dependent forever. Besides the physical pain, this was a particularly severe psychological blow. She felt that her personal trauma was slight compared to the material and human devastation around her, and felt frustrated at being unable to help others and alleviate their pain as she wanted to do. Instead she felt herself to be a burden for her family, already suffering due to the destruction of their home, various injuries and bereavement (an aunt died in the earthquake). Getting a new leg fitted in Aug 2007 was nothing short of a miracle for Rashida - and for the hundreds of others, who have since benefited from an overseas Pakistani doctor's quest for cheap, practical limbs for quake-affected amputees. Dr Viquar Qurashi is a UK-based surgeon who specialises in orthopaedic trauma (After his experience with those affected by the Kashmir earthquake, he took classes on amputation and lower limb related medicine, "just side work"). He was among the dozens of overseas doctors who rushed to the earthquake-affected area to help out in 2005. When he was about to return to his adopted country England, a patient with an amputated leg asked for his help. 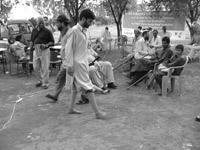 Dr Qurashi left, promising to help him get an artificial limb. Back in England, he started searching for a cheap and practical limb suitable for the amputee's lifestyle. "British, American and German limbs, all were very expensive, about 1000 pounds. I could not afford any of those," he told The News on the phone from England. "Also they were not as practical for the rural lifestyle". He stumbled across Jaipur Foot in India during a random search for "cheap foot" on the Internet. "They were almost 50 times cheaper than the western ones, and above all more relevant for the local people, especially those in the mountainous northern areas," he said. "It was practical, affordable, reproducible, economical, easy to use and geared for the local terrain." Dr Qurashi found that the biases and divisions, all too evident in the media, are not reflected in the people's feelings. The founder, D.R. Mehta immediately offered to bring his team of technicians to Pakistan to fit Jaipur prosthetic limbs to all the 700 identified leg amputees of the earthquake. But obtaining this technology from India, traditionally considered an enemy on political front, was no mean feat. Jaipur Foot had unhesitatingly offered their full cooperation - but the bureaucracy was not so easy to get around. It was difficult to get clearance for the 18-member Indian team. "The authorities questioned us many times. There were political tensions and renewed standoffs between the two countries, and the visas of the team were rejected several times, but the dedication on both sides did not waver," says Dr Qurashy. D.R. 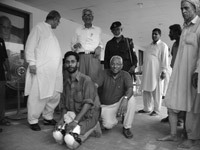 Mehta's team of 18 technicians and experts finally reached Pakistan on Aug 10, 2007. During their month-long stay, they, along with a Pakistani team, helped fit 989 amputees with artificial limbs -- 403 in Islamabad and 586 in Karachi, in two camps set up in Islamabad and Karachi till September 7. The Indian team trained locals here in the technique and transferred machinery and technology for further use. To take this work further, Dr Qurashy established the Naya Qadam Trust to cater especially to lower limb patients, not just earthquake victims, but other patients across Pakistan. Now the trust is working independently, using all local materials for artificial feet. Since then some 2,600 patients have benefited from this collaboration, including 850 who received prosthetic limbs and the rest provided with wheel chairs, tricycles, calipers and crutches, Nasir Hafeez, Coordinator of the Naya Qadam Trust in Islamabad, told The News. The Indians and Pakistanis involved believe that the surgical industry in Pakistan (Sialkot) can help the Indian organisation by providing key assistance in manufacturing the arm. Such collaboration can literally stretch its arms for peace for both countries. India has long been engaged in cost effective research for their poor - research which can be equally beneficial for Pakistan. Pakistan is also strong in areas as raw material, local production and cheap labour. The private sector need not let the governments' inability or reluctance to help their people stand in the way of their cooperation - a cooperation which ultimately benefits the people of both countries. Naya Qadam Trust has signed an MoU with MVSS, to share further advancements in technology. 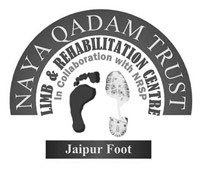 Jaipur Foot was set up under the welfare organization Mahavir Vikalang Sahayata Samiti (MVSS) that D.R. Mehta founded in March 1975 (named after Lord Mahavir, known for his compassion and loving kindness for all). The humanitarian project was born from a trauma - a 1969 car accident in which nearly lost his life and a leg that was badly crushed. The operating surgeons, Dr. M. M. Bapna and Dr. Ganga Ram Purohit of Mahatma Gandhi Hospital, Jodhpur, reminded him of the plight of poor patients who in such situations often lost their limbs. D.R. Mehta's message for Aman ki Asha: "The Indians who stayed in Pakistan felt the warmth of the people and the connection that binds both the nations. The Indian people and the Pakistani people are made of the same mould, they share the same sorrows and joys. So if we work together, peace can grace the two countries"
One trouble with this is that in India we do have a hard time drawing this distinction, and especially in remembering it at stressful times. Perhaps again because we've sunk some democratic roots, we tend to think that governments should be accountable. The idea that something like Kargil could have happened entirely as a venture of a military man, without the head of state knowing about it, seems crazy to us. For that reason, we tend to hold all of Pakistan responsible. For that reason too, I want to ask you: did you (as an ordinary Pakistani) see Vajpayee's bus yatra and what you call the "peace process" of that time as a substantial step towards peace? Or were you as sceptical of it as many Indians are of Nawaz Sharif's "pro-India"
feelings? In other words, what Indian step, from our "establishment", would you consider as a substantial step towards peace between us? Second, while I'd like to believe with you that a majority of folks on both sides want peace, I'm not so sanguine about it in India. I've already pointed you to the response to our exchange I've had on my blog: among many Indians, there is an almost visceral dislike for anything to do with Pakistan. (Ironically, while they themselves claim Pakistan is "born in, and sustained by, anti-Indian, anti-Hindu and anti-secular hatred"). So tell us about what Pakistanis you know think: are they indeed "sustained by anti-India hatred"? And if not hatred, are there things about India and Indians that at least annoy you and them, and what are those? We Indians should make an attempt to understand and respond to that. Our exchange has already filled me with so many questions and thoughts and themes I want to explore, as I'm sure it has for you! That's both good and bad – good because any reasonable dialogue should address as wide a canvas as possible. Bad because there is so much; do we have the time and space to get to it all? We'll see. Your comment about Indians having a hard time drawing the distinction between 'establishment' and 'government' – the idea that governments should be accountable, that Kargil could not have happened without the head of state knowing about it – and consequently tending to hold all of Pakistan responsible, set off a light bulb over my head. Yes, I believe that Vajpayee genuinely wanted peace and so did Nawaz Sharif – not necessarily out of any great love but because they realised that there is no option. Nawaz, a businessman, is also aware of the economic benefits. We would have made progress had Kargil not happened, which itself may not have happened had India not initiated the nuke tests – but there's no point going on about the past. I feel bitter that each time either one of our governments takes a step towards peace, those who have vested interests in keeping the tensions high between our countries undermine it through a violent act in my country or your's. The instigation may come from either side, but local collaborators facilitate these acts – which I regard these as criminal and political rather than purely terrorist (is there a great distinction?). Regarding the hostile comments to our exchange – firstly, what is the source of these comments? Unless they come from verifiable users who want to engage in constructive dialogue, why dignify them with a response? Remember that the intelligence agencies (at least here for sure) are active in spreading rumours, disinformation, and planting stories. Also, not everyone thinks like us. You're not going to change their mind, they're not going to change your's, so let them rant. Last Sunday we (as in 'aman ki asha') held a public event at a shopping mall. Ok, so it was an upmarket mall and but hundreds of people attended and overwhelmingly supported the initiative. There were some nasty remarks and hostile comments -- but very few. They're entitled to their views. As long as they don't use violence to make me change my mind, fine. You ask what annoys me about Indians. I hate to generalise, but if I had to pinpoint a trait, I would say it's the hard-nosed nationalism and sense of superiority of many Indians, the refusal to introspect and see flaws within their own society. Yes, there are such people in Pakistan as well, but because we've often had an adversarial relationship with our governments (mostly military dictators) there is less of a tendency to toe the government line. But most Indians I've met (from journalists and politicians to shopkeepers, farmers and taxi drivers) see the commonalities and shared problems and want to be friends – even if they don't agree with the other government's polices. I think that's true of most Pakistanis too. There was a thoughtful pause. Then: "My generation has so much excess baggage that we have clung to. But young people on both sides have avoided much of this load. This will make it easier to initiate peace and collaboration at all levels." Talwar was in Karachi with other members of India's Rotary Foundation, which recently donated a blood component separator to the MMI, a once emaciated structure transformed into a thing of beauty by a fellow Rotarian, Peer Mohammed Deewan, MMI Chairman. The donation, said Talwar, is "a small step towards ensuring our friendship and support. It is our way of saying, let's get over the past and build a future with trust and without the suspicions that have plagued our perceptions for so long that we can barely pursue even a normal conversation, forget talking peace." The event also brought Indian and Pakistani Rotarians together after five years. Not that they were out of touch during this time -- "We were constantly in contact over internet, informing each other about our well being," says Iqbal Hussein, a veteran Rotarian and a past governor. "Let's see how quickly we can make this (peace) process work," said District Governor of Rotary of Karachi Karsaz, Usman Masood. "The shortest possible route is mutual respect for each other and to get away from 'me' and 'you', and work for what is 'ours'." He added that the Indian Rotarians' donation is a very special gift, which underlines their sincerity in going forward with the stand taken by Rotarians five years back. In 2005, Indian and Pakistani Rotarians signed a joint declaration for the enhancement of 'Goodwill and Peace'. The document cemented the bond between the Rotary Foundation in Delhi and Karachi, which have been working together to promote community services in the region for the last few decades. Now, five years after the agreement, the Indian Rotarians were visiting Pakistan to launch the MMI's blood bank project and also help and provide equipment to the tertiary care hospital. "It is a very small gesture on our part, but it is a step in the right direction," District Governor of Indian Rotary Foundation, Ashish Ghosh said. "This will be a fine humanitarian project where Rotarians from both countries will jointly provide community services to each other." Since 2005, Rotary Clubs in India and Pakistan have undertaken sixteen projects together; most of these projects have been completed or are in the finishing stages. While Indian Rotarians are financing the blood bank wing and have provided six machines to MMI, Pakistani Rotarians have donated a mobile blood van for Delhi to provide blood and other facilities in case of emergency and accidents, as well as books, uniforms and other useful material to schools in the South of Delhi. As Rotarians on both sides seriously consider significant steps to ensure collaboration, they are encouraged by 'aman ki asha', the 'hope for peace' joint initiative by the Times of India and Jang Group. They believe that their efforts will help achieve the goal that 'aman ki asha' is aiming for, peace between India and Pakistan. "Any project without the participation of the people will not have the necessary impact," added Ghosh. "It is on humanitarian grounds that we help each other in times of need and build on our similarities." Any issue can be resolved through dialogue and people-to-people contact, said Talwar. "That is what the Rotarians want to establish, an unbiased way of communication between two estranged nations." Later that evening, the Rotary governors signed the treaty of friendship. It includes encouraging Indian and Pakistani business delegations to visit each other's countries, to form twin club arrangements between Indian and Pakistani Rotarians, undertake community service projects in their respective communities, and encourage and promote sports activities between the two countries. "We have realized our past mistakes," said Usman Masood. "What we have done is just a drop in the ocean. With commitment and dedication we can work wonders in the region, which can set a new trend for others." "Political leaders have, for too long, decided what we should do or believe in," says Ashish Ghosh, District Governor of 3010 Rotary (Delhi). "This time the people of India and Pakistan will decide what the course of action will be." Talking about the need to involve people in the peace process, Ghosh says community service is the best way to bring them together, whether or not the respective governments of the neighboring countries want to pursue that. "Once the people gain each other's trust and respect of people, our leadership will have no choice but to agree," says Ghosh. The misconceptions that currently exist are evident in the warnings he received when about to leave for Pakistan. "Many people told me it is not safe, but thinking about that would have meant taking a step back than forward. After fighting three wars against each other, we need to move ahead. We have had enough discussions. Now we are looking forward to the projects we have jointly started in our respective countries." Deepak Talwar, past district governor of Indian Rotary Foundation Delhi agrees. "There are many views attached to this collaboration, either based on suspicion and distrust or positivity and hope. It depends on us which view we want to take. Either we can move forward or remain stagnant." He points out that Rotarians proposed immunisation against polio long before United Nations was formed in 1963, but polio has still not been eradicated. The four countries in the world where polio persists include India and Pakistan. "Our governments have been unable to immunise our populations so far, in both countries. The reasons for this include the people's prejudices and misconceptions. Obviously, we need a more effective communication strategy," says Talwar. Both Ghosh and Talwar believe that differences exist everywhere and rather than dwelling on the past, we should give our children something to look forward to, and not instil in them the hatred that earlier generations imbibed. "Today's generation thinks differently as the memories of partition are not fresh in their minds, the way it was in ours, so it's easier to bring them together and start collaborative programs in different fields," says Talwar. Rotarians have started a movement for the betterment of people in both countries, added Ghosh. "It is now up to all of us to continue working so that the collaboration continues. It is now obvious that citizens of Pakistan and India want friendship. We (Rotarians) are trying to initiate projects that link people."